We hear it all the time: “I can get down anything, so I don’t need ski lessons any more“. You’ve probably thought the same yourself. Our answer to that statement is always the same. Everyone could benefit from lessons. Lessons help us to get more from the mountains, cover more ground or learn a new skill. Improving our skills and confidence makes it more fun. And that’s surely the goal after all? In fact, many of our instructors still take lessons and coaching courses prior to a season to refresh and fine tune. And they can certainly get down anything. 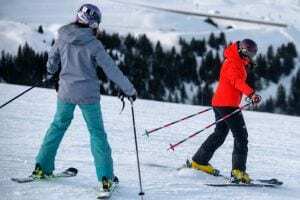 We’re not talking ski school here…. 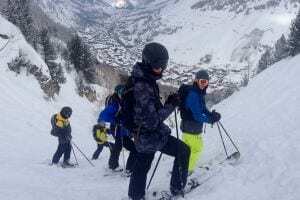 If you’re an intermediate or advanced skier or boarder looking for something a bit different than group lessons then our ski or snowboard clinics could be just the thing. Clinics are the perfect way for advanced skiers and boarders to develop technique and get off a plateau without the commitment of lessons each day. Our 8hr clinics are split over two 4hr sessions on Tuesday and Thursday. And with a day off between the sessions, you’ll have plenty of time to practice your technique, getting feedback as you progress throughout the week. We’ve all been there. If you’re struggling to reach the next level then our clinics could be the answer. Our small groups mean plenty of personalised feedback to help maximise progress. If you’re stuck in a rut and fancy pushing yourself a little a clinic offers a safe and sociable setting to do just that. 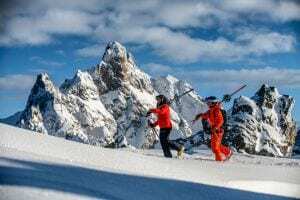 *In St Anton, clinics run for 5hrs per day. Not sure what ski or snowboard level you are? It’s not always easy to know what ski or snowboard level you are. So here at New Gen we’ve made some handy videos to accompany our ski lesson level guide to help.